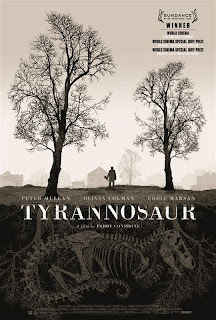 Emotionally devastating and rewarding, a study of desperate individuals with seemingly nothing to lose, "Tyrannosaur" is one to put on your watch list. Now. Featuring electrifying performances from Peter Mullan, Olivia Coleman, and the criminally underused Eddie Marsan, it is as riveting as it is disturbing and shocking. Joseph seems to have this effect on everyone who crosses his path, and he certainly seems incapable of any lasting change, but that doesn't stop kind Christian charity shop worker Hannah (Olivia Coleman) from trying to help, to Joseph's great puzzlement. Hannah, despite her soft and motherly exterior, has a heapful of s**t going on at home. Heartbreakingly unable to have children, she is also saddled with the world's biggest d**k as a husband - James (Eddie Marsan,) who abuses her in every way possible. How these two lonely souls find each other is the subject of this discomforting drama, which to me is the most genuinely distressing film since Simon Rumley's "The Living and the Dead." 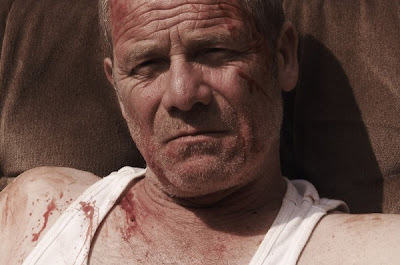 "Tyrannosaur" thrives on that stark realism we've come to expect from the Brits, but goes deeper than most Brit flicks, let alone American films. I was in one state of distress or another throughout the film. The violence can be upsetting, especially if you are an animal lover, but don't let a couple of scenes prevent you from watching what is most certainly one of the best British films of the last ten years. Writer/director Paddy Constantine (actor/co-writer of the also great "Dead Man's Shoes") touches his characters with a little something extra, refraining from turning them into dim-witted caricatures. You get something from this film that you don't get very often- the feeling that you have watched a truly great movie. And how great is that? Recommended. 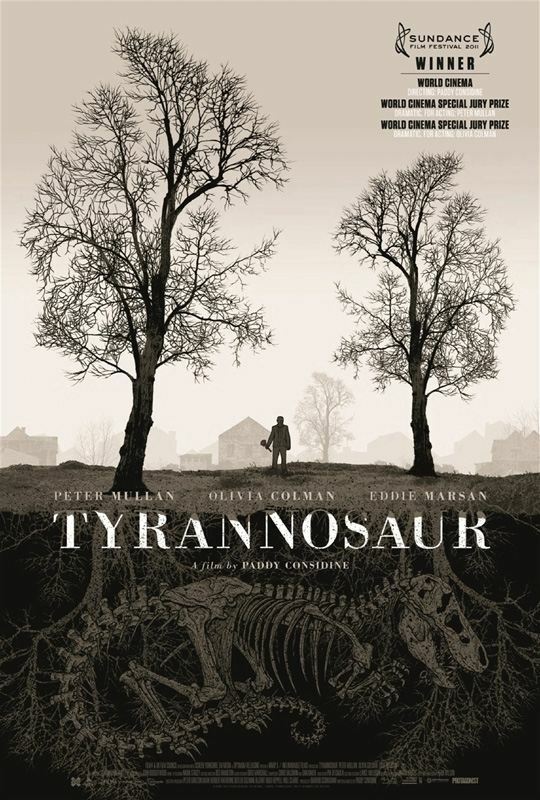 I had never heard of Tyrannosaur before this. It sounds intense. Nice review Steph. I have read many good reviews on this movie but I still haven't found it yet...it's still in my to-watch list. I'm not Steph, I'm Sarah... but thanks anyway. Excellent review, Sarah! My instinct is to give this film a wide berth, especially after seeing how much it upset you. :-) And animal cruelty disturbs me more than anything else. Well, that and cruelty to children. But you've convinced me that it's worth putting on my watch list. I agree that Eddie Marsan is criminally under-rated. He's such a great and versatile actor. My favorite role by him, so far, is the kidnapper in The Disappearance of Alice Creed, but he was equally good as the shy, self-effacing suitor in Vera Drake. Saw him in 21 Grams last night as an American evangelical preacher. Like I said: versatile! I want to see it, but I don't know if I will be able to endure it - I can watch brutal horror flicks and sick movies but if something happens to animals...that's pretty much unbearable for me. Me too, Moonrise Kingdom completely lost me the second that dog died. Unless it's really justified like in Secret Window where the events were logical progression of the madness of a person doing it, I'm definetly not all right with that.